Tap water is the go-to source of drinkable water for a lot of people around the world. It’s cheap, convenient and controlled by local governments. While it doesn’t have a “silent killer” status like soda, smoking, or other unhealthy habits, that doesn’t mean that there isn’t room for improvement. Tap water, even when controlled by strict regulations and purification methods, isn’t as safe as it seems, especially in the long run. Strange taste, unwanted chemicals, there’s a number of things that can be prevented just by using a countertop water filter. While water purifiers are great, a countertop water filter is the best way to have an unlimited, comfortable supply of clean water. Great-tasting and clean as a whistle, purified water is one of the most underrated commodities that one could have in the modern world. A healthy diet implies that everything that goes into one’s system is constantly controlled in-house. This means that even tap water must undergo modifications in order to be as healthy as possible. The Home Master Countertop Water Filtration System is a great choice for ensuring chemical and mineral-free water for the whole family. With a portfolio that consists of top water filtration systems, it’s easy to see that the people over at Home Master don’t fool around with the quality of their products. With sink, countertop and even bathroom filters, they have a good grasp on what it takes to design and produce a good product. 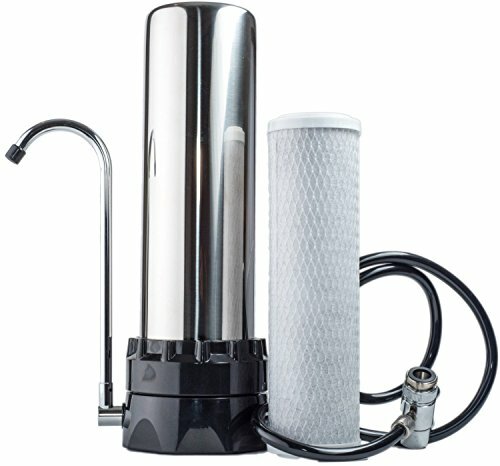 The Home Master CounterTop Water Filtration System is a great choice for those looking for cleaner water. It uses a good amount of chemistry to get rid of common unwanted chemicals, such as chlorine and fluoride. While studies that claim to link chlorine and fluoride are often limited to a small number of people, making them inconclusive, there’s no real benefit to having them poured in modern water supplies. While fluoride is certainly good for healthy tooth development, all modern toothpaste manufacturers use healthy amounts in their formulas, so there’s no more reason to ingest more of it. The Home Master CounterTop Water Filtration System has a great system to take care of these clandestine elements. With a number of filters and active ingredients, there’s not much that passes through the Home Master system. Using two agents and three layers of filtration, impurities and chemicals will be virtually by the time the water reaches the light of day. While these filters and agents work great with chemicals and impurities, like lead, they won’t do much for dissolved minerals. It’s imperative to opt for another brand if one lives in an area with a high mineral concentration in the tap water. Hard water contains calcium, which can deposit in the person’s system, turning into kidney stones. The three-stage purification process is pretty straightforward. It passes through the two active agents, plus a compression disk that separates the two. The first active element is coconut carbon. Coconut shell carbon filters are made using all-natural ingredients, so there’s nothing which will further contaminate the drinking water. Furthermore, it’s highly-efficient in removing chlorine, which is the most harmful chemical found in drinking and cleaning water. The second element, activated alumina, is a bit of an interesting choice for a filter. It’s effective in removing fluoride from water, but it works slower, so there’s a high chance that not all flouridewill be removed. That being said, fluoride is good in tooth development, and it’s safe to consume in small amounts. 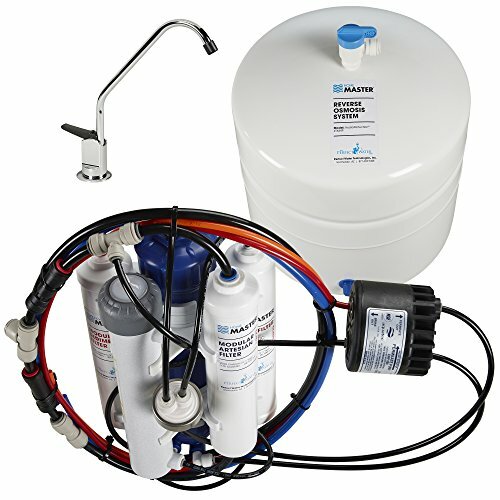 With very few elements, the Home Master Water Filtration System is very easy to install and operate. It comes with a connector that can be easily installed on a classic, round faucet. As most people assume, more unique faucets won’t be compatible with any water filtration system. Once connected, the water will pass through a hose before reaching the filters, coming out clean on the filter’s own tap. It is small enough to fit on a countertop and doesn’t require any prior knowledge to install. After installation, the user can go back to their daily routines with no adjustment or discomfort. Because it is small and doesn’t come with a lot of attachments, it’s very easy to transport. If the buyer is looking for something to take on trips, this would fit nicely in a hotel room or guest room. This ensures the user to have constant access to purified water, not being confined to just his or her personal kitchen. As with everything nowadays, it’s pretty hard to make a final choice on a purchase without proper documentation or market research. Throughout this section, the validity of this water filter will be proven by showing its worthiness in comparison to another product, similar in price and features. The Lake Industries Stainless Steel Countertop Filter, for example, should be considered by any potential shopper as an alternative. First off, it’s considerably bigger than the Home Master product, which is a big drawback, to begin with. Moreover, it’s very slow. With the Home Master, the user won’t have to wait to quench his or her thirst or start cooking, which can become very inconvenient in different situations. Lastly, and most importantly, the water that comes out of the Lake Industries product is plastic tasting, defeating the whole purpose of owning a tap water filter. 97% of Chlorine, Class I Particulates, bad taste and odor, VOCs (Volatile Organic Compounds), and radon. Highly molded structure, eliminating carbon fines release, channeling and bypass. The Home Master Countertop Water Filtration System is a great choice for those who want to control every substance that their bodies come in contact with. 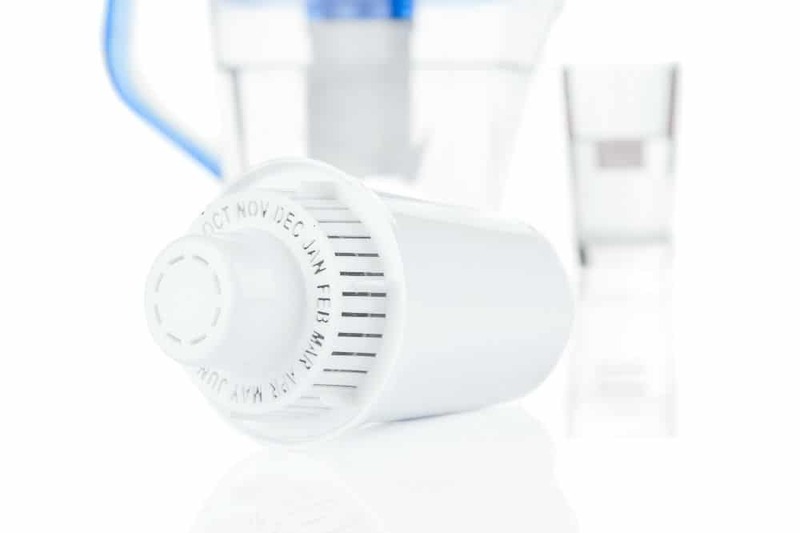 With great, fast-acting active ingredients, and a cool, compact design, it’s easy to see why Home Master are such trustworthy names in the water filter industry. It brings great-tasting water, cleans up to 93% of chemicals, and will fit in just about any backpack. What a steal!